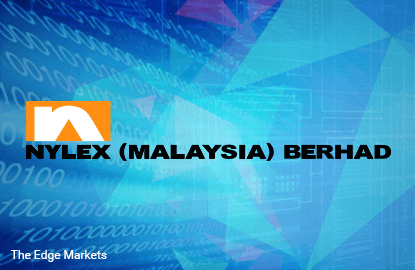 Shares of Nylex (Fundamental: 0.75/3, Valuation: 2/3) rose 5.1% to close at 62 sen yesterday. Some 963,700 shares changed hands, compared to its average 200-day volume of 78,670 shares. Last month, the company announced its 1QFYMay2016 earnings results. Revenue declined 10.0% y-y to RM322.8 million, hit by weaker demand in the polymer division as well as lower selling prices for industrial chemicals following significant drop in crude oil prices. As a result, net profit fell 41.5% to RM1.7 million. Nylex mainly manufactures and trades polymer and industrial chemical products, including geotextiles, vinyl-coated fabrics, and petrochemicals. In FY2015, domestic market contributed 48.8% of its revenue, with the remainder derived from export markets, including Singapore, Indonesia and Vietnam. 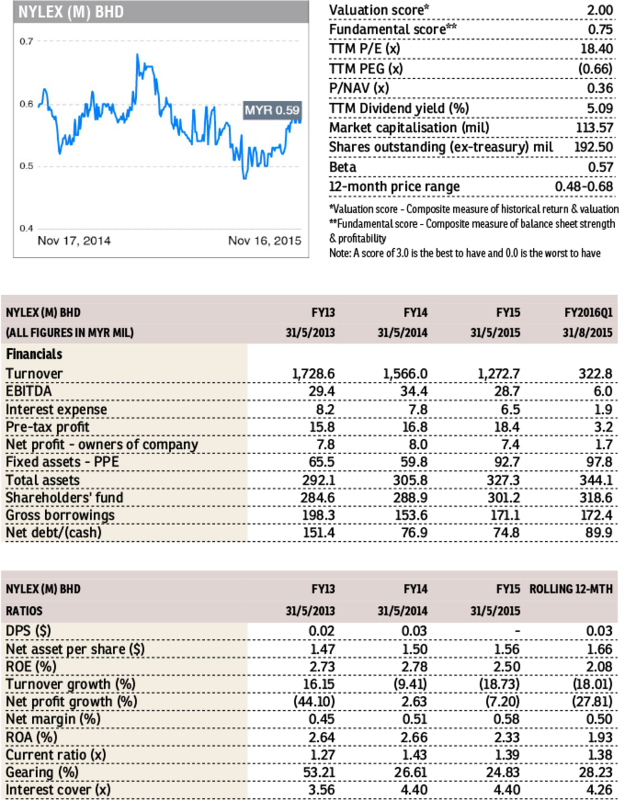 It has proposed a final dividend of 2 sen per share for FY2015, giving a net yield of 3.2%. The company had a net debt of 89.9 million at end-August, or a net gearing of 28.2%.